[無料] SkyLand Rush - Air Raid Attack | Mac App Storeのアプリ検索・ランキング BuzzMac! A shooting rush game against creatures of the dark! 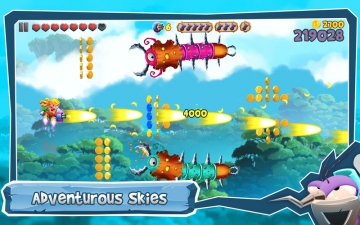 Shoot and fly through the sky of Skylandia in an epic adventure. How far can you get? 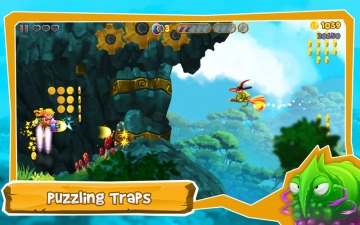 Dash into the world and challenge your skills in this side-scrolling game! Evil has taken over Skylandia! Zenya needs your help! 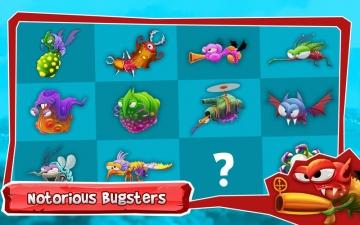 Survive the sneaky attacks of various bugsters, ominous witches, robobirds, little devils and other notorious monsters that will threaten your mission! Shoot'em up to clear your way and to claim the rewards. A long journey lies ahead, dark times shall not prevail! 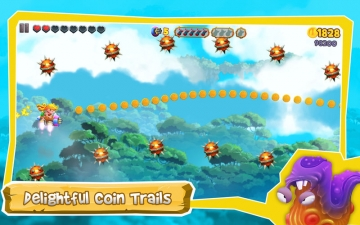 Tap and balance though dense vegetation, blocking rocks and dangerous caves! Collect powerful charms to wipe out all the enemy creatures with your super weapons. 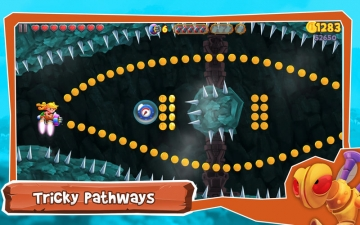 Avoid or smash the obstacles and spot the hidden traps ahead in order to disable them in time. During your epic adventures different types of egglings will come across your path! Each one of them is an ill-omen of an evil presence! Collect them all while monstrous Titans await to be awakened! Join Zenya's journey to the adventurous Skylandia! This game is free but contains optional in-app purchases. You can disable them in your device's settings.